In the plastics sector we have been developing and producing mudguards and fuel tanks for commercial vehicles, as an owner-managed family business, for more than 35 years. In the metal sector we have been producing hitch systems for tractors for more than 60 years. With more than 500 employees in our sites in Schrobenhausen and Freinhausen, we are one of the leading manufacturers in the plastics sector in Europe and European market leader for hitch systems. 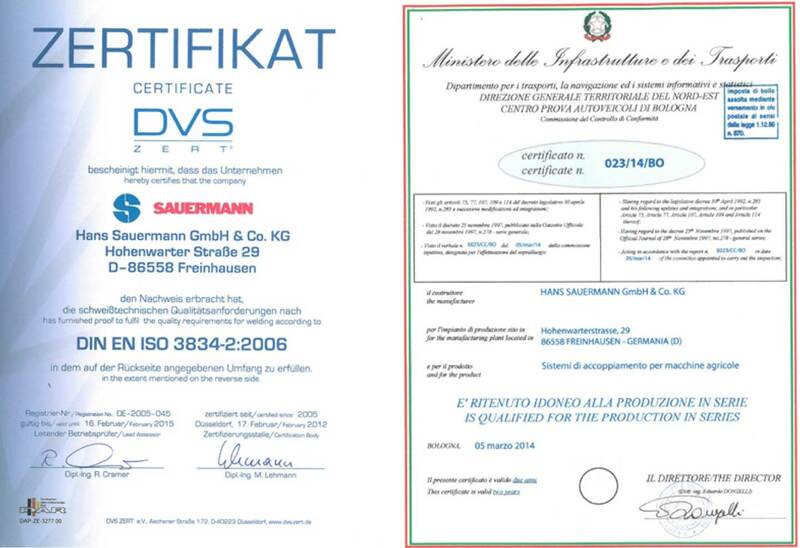 We combine technical innovation with highest quality products. 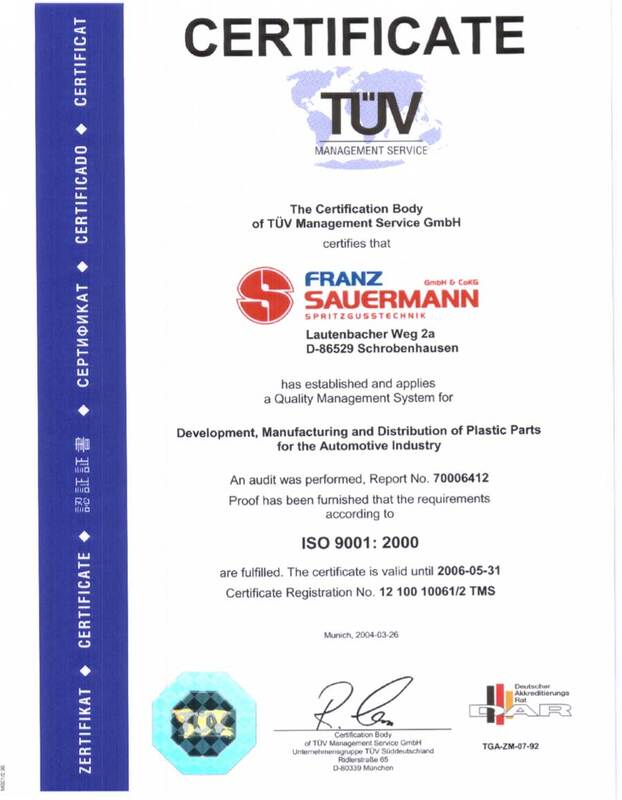 Satisfied customers and long-lasting and fair cooperation with other leading manufacturers of the commercial vehicles industry have proven our quality policy right. Apart from service, consulting, development and realisation, we as a medium-sized owner-managed family business, offer our customers, on a national and international level, the whole production cycle from one single source. At the same time, our customers and their demands are always our top priority: If new products in the area of hitch systems or coupling are needed, we are able to realise these projects thanks to our innovative mindset and quality awareness. Our team of competent and skilled workers will assist you with their extensive application knowledge and absolute dedication to quality in every project stage, from planning to serial production. In order to protect the environment and to foster future generations, we have committed ourselves to a responsible interaction with the environment. Therefore, our self-image demands the protection of natural ressources and their most efficient use. We constantly strive to avoid pollution and damage of the environment that might occur due to our production processes, right from the beginning. When it comes to choosing our suppliers and service providers we also take into account, not only economical, but also ecological aspects. 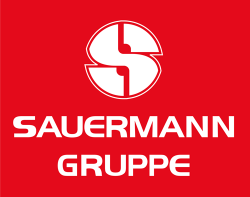 Every employee of the Sauermann Group is asked to regard acting responsibly and environmentally friendly as self-evident behaviour in order to make use of our natural ressources in the utmost efficient way. We have retrofitted the whole lighting in our production sites to LED-technology and power consumption has dropped noticeably. Our photovoltaic systems in Schrobenhausen (450KW) and in Freinhausen (750 kW) allow us to create a significant amount of the energy we need, ourselves. The waste heat recovery unit of our compressor system completely provides heat and warm water for the sanitary facilities and shower rooms for more than 350 of our employees working in shifts. The tight-knit and responsible cooperation with our employees has already enabled us to make small and larger contributions to sustainability in dozens of areas. 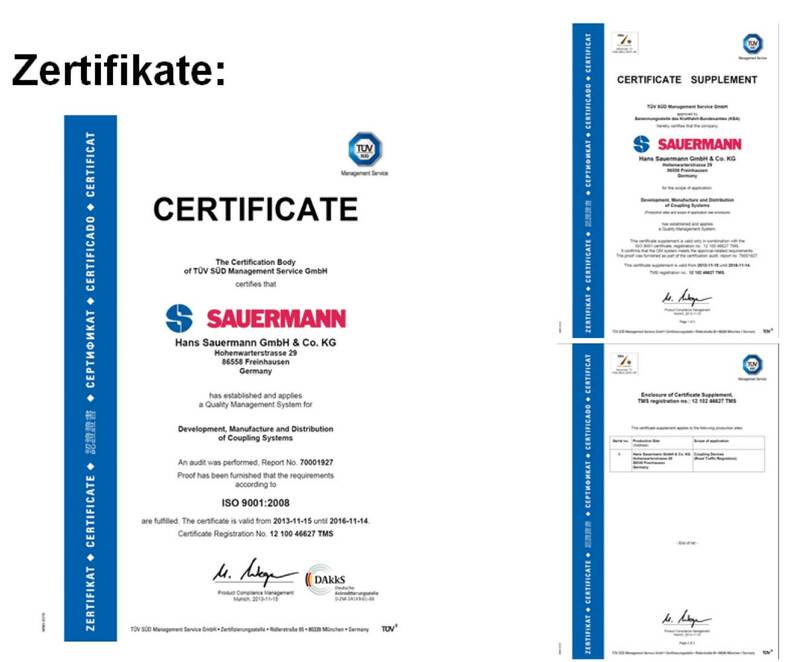 Our holistically defined manufacturing and production processes comply with the highest quality requirements: Envisioning what is achievable without losing track of the possible risks is part of our daily matter of course that stands for the excellent product quality that we provide our customers with. Our constant quality control mechanisms allow us to keep control over every production step and ensure great quality and highest precision. 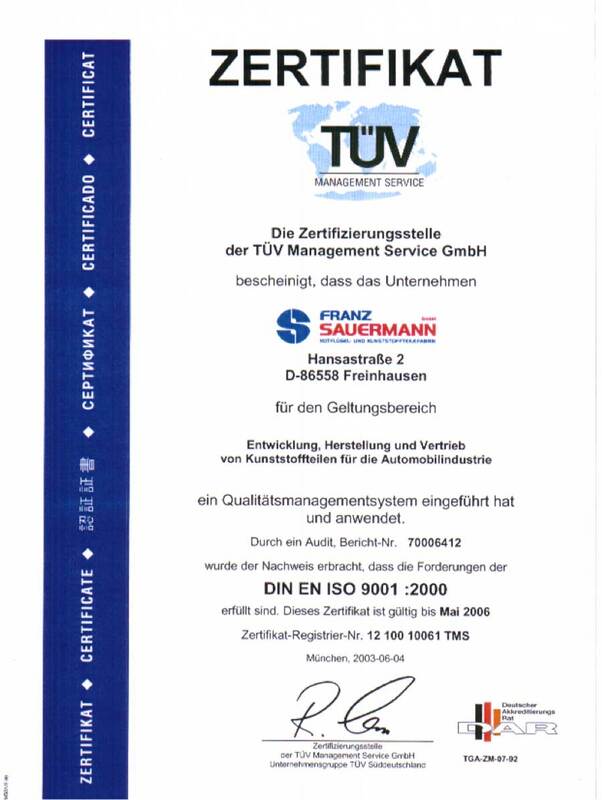 We have been certified for many years now and guarantee maximum transparancy. Furthermore, many of our operations are in accordance with process orientation with holistic structures and procedures. Our quality management uses the latest development software. 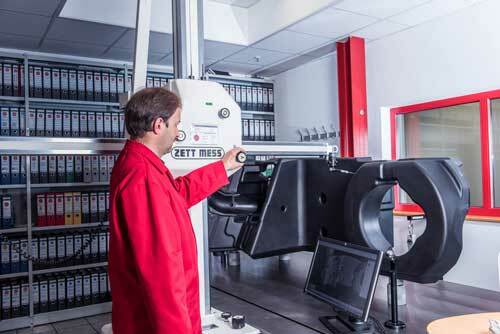 Our quality control ensures highest precision by working with special measuring and testing systems. Learn more about our measuring methods for ensuring a constant level of high quality in our serial production in the services section.